I am getting ready for my #DisneySide @Home Celebration and of course I am pinning away. 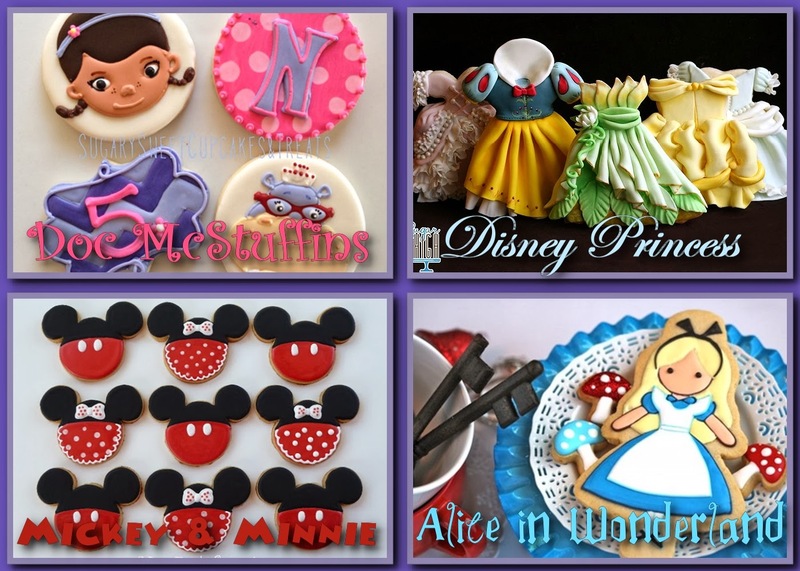 There are so many talented sugar cookie artist out there!! I really wish I could do this - if any of you know how I would love a lesson!! Here are a few of my favorites!! Doc McStuffins Cookies - Doc McStuffins in a favorite of Lexi's - and I enjoy watching with her. She would adore these cookies from Sugary Sweet Cookies Etsy shop!! Disney Princess Cookies - Princesses are always a crowd favorite and these cookies from Sugar High are almost too pretty to eat!! The details are amazing!! Mickey & Minnie Cookies - I love these cute Mickey & Minnie Icons from Mrs. Foxs Sweets!! They are so cute and would be great for any Disney theme. Alice in Wonderland Cookies - This is not the first time I have shared these cookies from Sweetopia, so much talent!! The cookies are beautiful and whimsical. Can you tell from this eclectic mix of cookies I haven't decided on a theme yet...I will let you know when I have a date and theme. If you have any suggestions I would love to hear them, just comment below or on the Disney Donna Kay Facebook page.